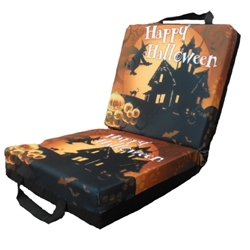 Halloween is a fun time of year, and what better way to celebrate it than with this one of a kind double seat cushion. This cushion is available for a limited time only, and even better at a limited time price. Get yours today before it vanishes in the night.